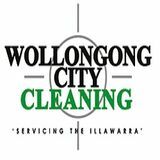 With our office cleaning service in Wollongong, we aim to clean up every corner of your workplace, and for that, we never use anything other than green cleaning products. Wish to get the entire amount of your bond money back? Opt for our end of lease clean service in Wollongong that ensures a thorough clean up of your property and leave your landlord impressed.